George Zimmerman — acquitted by a Florida jury over the death of Trayvon Martin — was arrested in Florida on suspicion of aggravated assault and domestic violence with a weapon, local authorities said. The 31-year-old Florida resident was arrested Friday by police in Lake Mary at about 10 p.m. and booked into the John E. Polk Correctional Facility, according to that facility’s website. That facility, like its website, is run by the Seminole County Sheriff’s Office. It all came about after Zimmerman allegedly threw a wine bottle at a girlfriend, his lawyer Don West told reporters. Police first learned about it after coming “in contact with the (alleged) victim at a traffic stop” on Monday, Lake Mary police spokeswoman Bianca Gillett said. When asked about the delay in making the arrest, Gillett said the arresting officer tried to reach Zimmerman on Monday and Tuesday, but couldn’t, and was off-duty Wednesday and Thursday. It was the officer’s decision not to pass off the case to another officer, Gillett said. “It’s clear he hasn’t been very lucky with the ladies the last few months,” West said of his client. Appearing in court is not new for Zimmerman, who became a national figure in 2012 after spotting Martin in his Sanford, Florida, neighborhood. The two ended up having a confrontation that climaxed with Zimmerman fatally shooting the teenager, who was unarmed. That incident, and authorities’ decision not to immediately charge Zimmerman, spurred large-scale protests. In April of that year, Zimmerman was charged with second-degree murder, with an affidavit accusing him of profiling Martin and ignoring a police dispatcher’s request that he wait for police. After a high-profile trial, a jury found Zimmerman not guilty. That made him a free man — but did not end his issues with the law. About two weeks after the verdict, he was pulled over for speeding in northern Texas. Much bigger troubles came in November 2013, when Zimmerman was taken into custody at his then-girlfriend’s Apoka, Florida, home after the two allegedly had a heated fight. He was arrested then on aggravated assault and misdemeanor counts of domestic violence battery and criminal mischief, accusations that he denied. He posted $9,000 bail days later. But after the girlfriend asked that the issue be dropped, State Attorney Phil Archer announced that prosecutors would not press charges. More recently, in September 2014, Lake Mary police said that a man claimed that Zimmerman threatened him during a road rage incident. 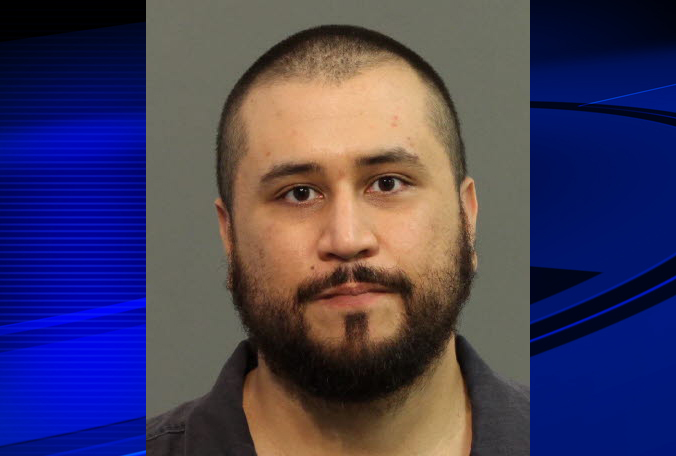 “I will … kill you,” Zimmerman allegedly said, according to police. “Do you know who I am?” He was not arrested and has not been charged. West said that his client — who posted $5,000 bail later Saturday — doesn’t have a full-time job, implying he’s had his struggles since the Martin acquittal.